Running Out of steam? Not on our watch! The Vocaloid revolution is now at a crossroads. Although their supporters are still numerous, as seen during concerts, but content production, especially those that could resonate with millions, has slowed to a trickle. If we allow this slip to go on, silent, inanimate monuments of an obscure past is all that might be left of what we loved. Lay forgotten in obscure history books? Vocaloids could only continue to serve their purpose if content producers are able to reach an ever expanding pool of audience with them, which is not happening. The Vocaloid community has reached its Galápagos moment. Few newcomers results in shrinking pool of existing supporters. Disheartened due to limited reach, abandons of Vocaloid content creation. What is causing the decline in content creation? Negative perception fuelled by misinformed journalists scared away new potential audiences, producers disheartened by the increasingly limited reach of Vocaloids and the lack of appreciation of their encoded message discontinues creation. For Vocaloids to develop sustainably, there must be a constant inflow of new supporters, maintaining their value as a channel of communication between producers and the world. Appropriate appreciation must also be shown towards producers to motivate them to continue creation as most of them are not in it for the money. The myth and discrimination surrounding Vocaloids arise due to Misinformation and a lack of authoritative voices supporting them. 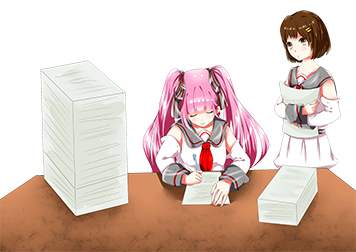 Project Hashi aims providing exactly that, a scholarly, authoritative examination of the Vocaloid community, their works and the message embedded in the works by the producers. We will be conducting the world’s first popularly supported academic inquiry, which means connecting the community interested in a common topic and the academia, enabling scholars with resources from the community to conduct research on that topic. We could not accomplish this without your participation, whether as a volunteer committee member running our campaign, a supporter contribution to our crowdfunded research or simply spreading the word about Project Hashi. You do not have to be an expert in the study of music, literature, sociology, psychology or Philosophy (If you are, that’s wonderful too!) in order to participate, so don’t hesitate, come join in our effort revitalize the Vocaloid Community, your very presence is a demonstration of support and encouragement for producers!